This 14k white gold round diamond engagement ring setting features twenty pave set round cut diamonds surrounding the center stone creating a halo. The setting also features an engraved design on the band and a filigree design on the sides of the halo for a vintage look. 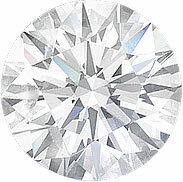 Created for a 1ct round center stone, but can be customized for any shape and size center stone. 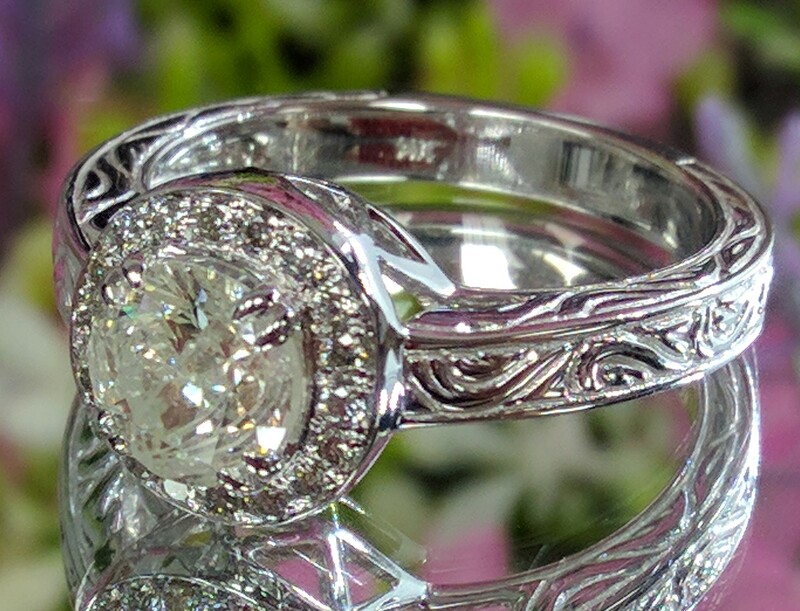 The center stone is set with double eagle prongs.